Independent authors do this and it wrecks their careers. Let their best friend read their novel and give feedback. Of course they’ll say it’s brilliant. Unless your best friend/mum/granny/writing class teacher works in publishing they cannot give you constructive criticism. Get a professional editor to do it. Design their covers themselves. Of course we all want to save money – it is hard enough to earn – but your book cover is what attracts readers – an amateurish cover will do you more harm than you could possibly imagine. Get a professional designer to do it. No first draft is ever good enough to be the final version of the book. 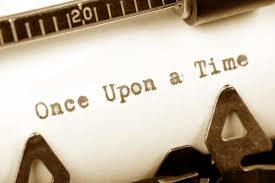 Re-writing is done by every author who values their potential readership. Writing is easy; it is the re-writing that turns word-vomit into a saleable book. Assuming the spelling and grammar check on their computers writing programme is enough to spot any errors. It isn’t and because you are so closely involved with the writing it is impossible to ‘see’ those howlers. But be assured your readers will. A book is your product, make sure that it is professional both to look at and as a reader experience. A poor quality product will not attract readers, or do you any favours as an author.